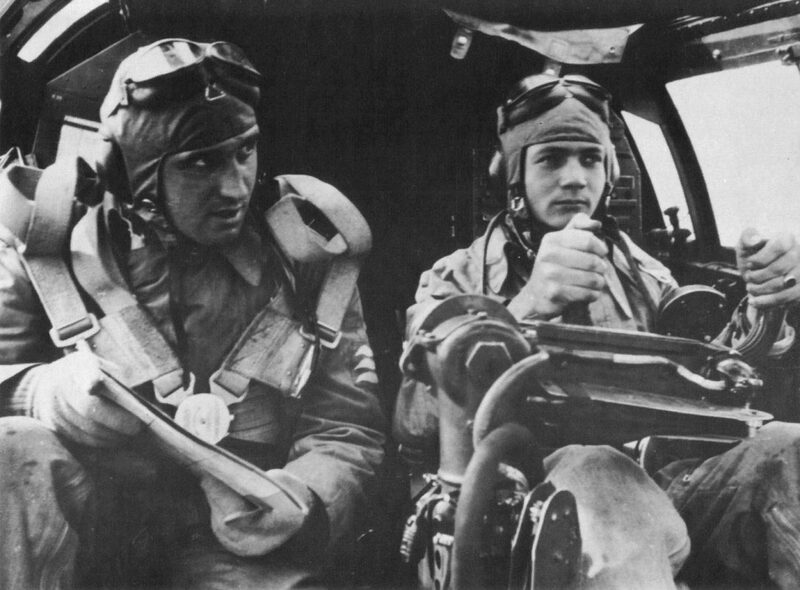 Crew members – Pilot and navigator – in the cockpit of a German two-engine Heinkel He-111 bomber. Heinkel He 111 is a German medium bomber, one of the main Luftwaffe bombers (there were also modifications of torpedo bombers and attack aircraft). In total, more than 7,600 He 111 of various modifications were built, which makes this plane the second largest German bomber in the Second World War.